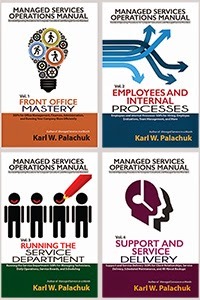 Small Biz Thoughts by Karl W. Palachuk: Ready for Coaching? Try Coaching Yourself! I invite you to bookmark a new site I just announced: www.coach-valet.com. Coach Valet is a new service for I.T. Consultants and their coaches. But mostly it's for consultants who have the desire to coach themselves in key areas such as finance, operations, service delivery, employee management, and client relations. 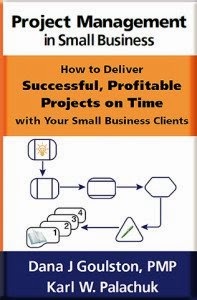 If you already have a business coach, this is also a great tool for them to monitor and manage your progress. There is a specific logon type just for coaches. It allows them to set company-wide goals and review the progress of everyone in the company. You can see an overview and screen shots at www.coach-valet.com. This service is currently in Beta testing. I have been developing the service for about six months and the core components will all be functional this week. My goal is to have the service available for general release by April 2013. I encourage you to add the Coach Valet blog to your RSS reader. I'll be posting information, presentations, and examples on that blog. We have “seeded” the program with categories, grading scales, and priority levels. You can use these or define your own. Some business owners have never gone through a thorough self-assessment before and they’ll want to start with the pre-defined settings. But others have already set up elaborate systems. 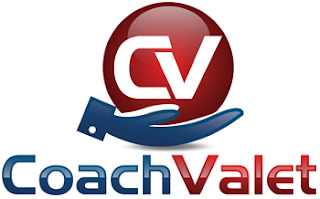 Coach Valet allows them to automate the systems they’ve developed. Customize as much or as little as you want. Users. There are several levels of users. Organizations can set up users so that tasks can be assigned and progress can be monitored. Tasks. Tasks can be big or little. The important thing is to get all of them into the system so you know the scope of what you need to do. The system can be “seeded” with a specific list of tasks. You may create as many tasks as you wish. Categories. All tasks must be assigned to a category. Categories are completely configurable. You might use categories such as Finance or Service Delivery. But you should customize these for your business or personal use. You can add categories as needed. Priorities. All items must be assigned a priority. You can use High, Medium, Low, or numbers 1-10, or whatever you want. You can easily customize the program to match your system or prioritization. Grading. Once you have a list of tasks and you have assigned priorities, you need to grade your performance. Many will be “Not Started.” Some will be Fair, Poor, Good, or Great. As with everything else, you define the grading scale you want. It can be any scale or grading system that makes sense for you. Reports. Of course you need to get reports so you can monitor progress. You can generate reports by priority, by the person assigned, by categories, and even by grade. Whatever works best for you. Give it a look and stay tuned!